While wearing the Kim Jong-un onesie, the man ran a shade over 11-minutes for his beer mile—not too shabby, all things considered. Tons of broken rules. I will overlook the not on a track part. So while sorta entertaining, this was not a beer mile. Corey Bellemore, lowered his own world record in the four-beer, four-lap event on Saturday in California. According to a video posted to the Beer Mile World Classic page, the new mark was reported to be 4:32.95. A comment on the video states the record time has been updated to 4:33.6. And NOW ... ROWING MACHINES!!! The CrossFit conversion of running to rowing is 400m run = 500m row. So we actually rowed a full 2,000m. And a full 48 ounces of beer. Unless they're wearing Kim Jong Un onesies, it doesn't count. Four ounces is the maximum amount allowed left unconsumed. 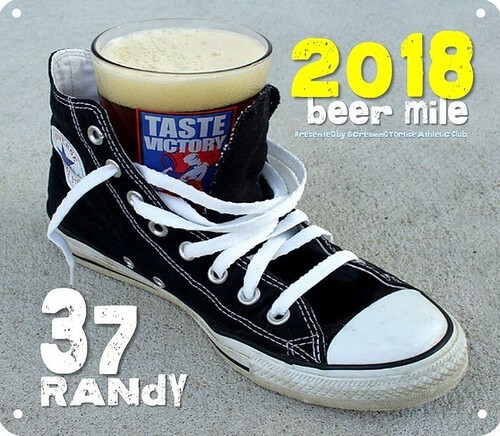 According to Patrick Butler of Beermile.com, the four ounce rule is a new one—it doesn’t yet appear on the Beermile.com official rules page—making it tricky to enforce and even trickier to follow as a runner. So you only need to drink 3/4 of a beer now, for it to count?